Beam me down Scotty! It’s time for Vulcan Events: Away Mission Orlando. Happening in Orlando on October 5th thru the 7th, this is an interesting convention to say the least. Unlike at Megacon, where you fight your way through the halls and into panels, Away Mission Orlando is more casual. With mostly Star Trek celebrities in attendance, this convention is a must see for Trek fans in the Orlando area. Last year, I had the pleasure of meeting Sir. Patrick Stewart. This year, the headlining guest is Avery Brooks of Star Trek: DS9 . Away Mission Orlando 2011 was my first time under a GeekMom press pass. Some of my all time favorite convention moments happened that weekend, including multiple compliments by celebrities on my clone trooper costume. 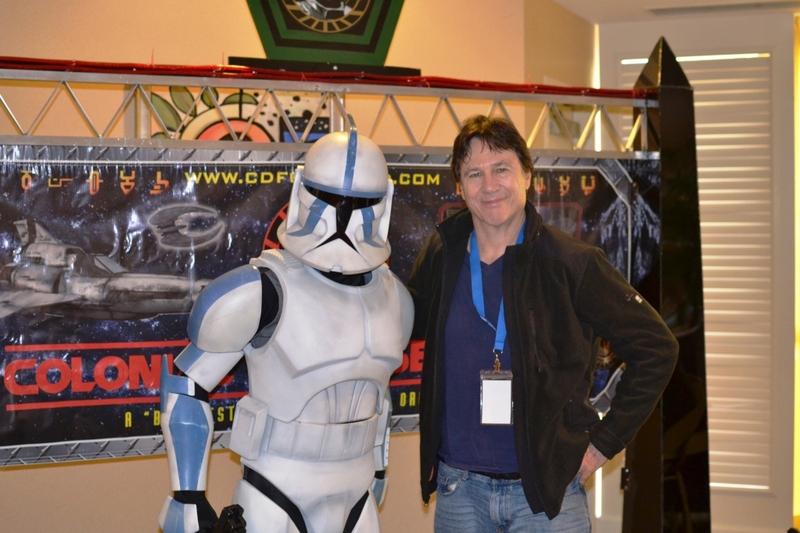 Richard Hatch even complimented me on how well I portrayed by character once I was suited up. The most important lesson I learned was that hydrating applies to everyone and not just those in costume. My son also showed that while I might be star struck by someone like Patrick Stewart, to him, they are just another person he wants to play with. I’m looking forward to seeing some new faces this year as well as trooping it with my 501st Legion garrison. Last year at the event, I was surprised to see how many children arrived dressed as Star Wars characters as well as the reactions from the celebrities to our costumes. At one point, the 501st Legion had a line in the autograph room…and some of those waiting were the stars. It was an interesting troop last year to say the least and I’m expecting nothing less from this years appearance. Tickets cost $15 for Friday, $30 for Saturday, $20 for Sunday and a three pass is $65. Children 12 and under are free with a paying adult.